Louisiana’s Habitual Offender Statute is a major contributor to the state’s notoriously high incarceration rate. Under the Habitual Offender Statute, a person who is convicted of more than one felony crime faces longer and longer sentences for each subsequent conviction. These laws were enacted over the last several decades as part of a “tough on crime” approach to sentencing that focused only on punishment and not on redemption or rehabilitation. The Habitual Offender statute is premised on the idea that individuals with multiple convictions cannot be rehabilitated, and that higher incarceration rates make communities safer. A person with prior convictions who commits a new offense may have decades added to the sentence, and in some cases end up with a life sentence. As prisons across the country have become overcrowded and incarceration is increasingly expensive – often with no real impact on public safety – many states have chosen to reconsider habitual offender sentencing statutes. The majority (64 percent) of people serving time in Louisiana prisons under the Habitual Offender Statute are there for nonviolent crimes. Thirty-one percent of people convicted as habitual offenders are incarcerated for drug offenses. Instead of funding measures to address the root causes of repeat offenses, such as mental illness, substance abuse, and poverty, the Habitual Offender Statute punishes the symptoms. 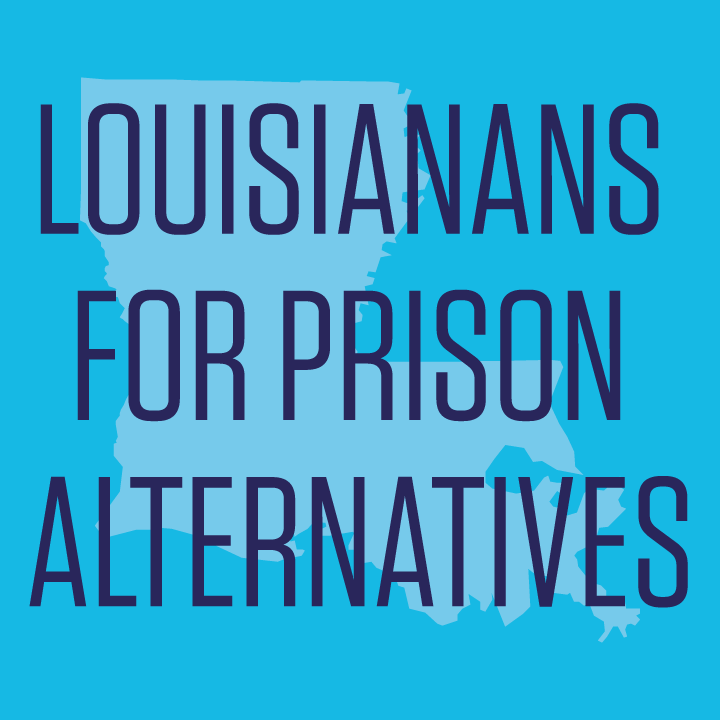 Louisiana needs to invest in prevention and rehabilitation and divest from outdated and harmful sentencing practices that don’t improve public safety. Louisiana’s Habitual Offender Statute mandates major sentences for minor crimes. There are more effective and less expensive ways to address people who commit repeated crimes than incarceration. The Habitual Offender Statute results in longer prison terms but fails to address the root cause of repeat offenses. • Drug use is a common factor among people cycling in and out of the criminal justice system. Possession of a Schedule II drug is the most common primary offense for people admitted to prison under the Habitual Offender Statute enhancements. However, rehabilitation only accounts for 1 percent of the state’s correctional budget. • Longer prison terms are not proven to deter crime, nor do they decrease the likelihood that a person will reoffend. • The Habitual Offender Statute costs taxpayers money. Nearly two-thirds of all habitual offender convictions are held in state prisons, which cost over $21,000 per person to detain over the course of a year. The Habitual Offender Statute primarily impacts people who have been charged with low-level, nonviolent offenses. • In 2015, 72 percent of Louisiana’s new habitual offender convictions had a primary offense involving drugs or property, not a crime of violence. • Louisiana’s Habitual Offender Statute has resulted in more people going to prison and for longer periods of time. Nearly 5,000 people are currently serving sentences enhanced by Louisiana’s habitual offender statute – one of every 7 people in Louisiana prisons. • In 2015, Orleans, Jefferson, St. Tammany and Washington parishes accounted for a combined 25 percent of all newly sentenced Louisiana prisoners, but 92 percent of the those sentenced under the repeat-offender law. The Habitual Offender Statute encourages the innocent to plead guilty. • The threat of a habitual offender conviction gives prosecutors incredible leverage over defendants, which can coerce them to accept a plea deal instead of going to trial, even if they are innocent. Nationally, 94 percent of felony convictions in state courts are the result of plea deals. • Because of this law, people agree to disproportionate prison sentences—and sometimes plead guilty to crimes they did not commit—for fear of being incarcerated for decades. For people convicted as habitual offenders in Louisiana prisons, the average sentence term is 34.5 years, compared to an average of 16.5 years for the total prison population. 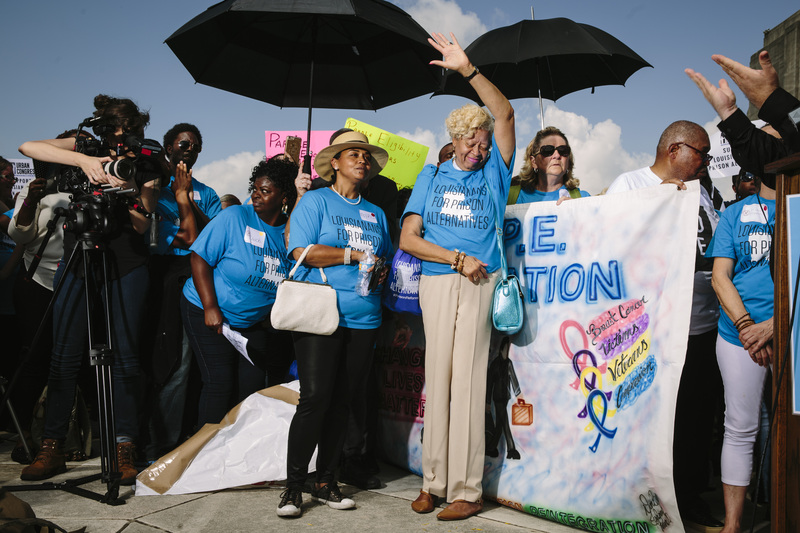 The Habitual Offender Statute has a disproportionate impact on African American Louisianans. • People convicted as habitual offenders are disproportionately African-American (79 percent). • Nine in 10 habitual offender sentences in Orleans Parish are leveled against African-American defendants. Support HB 518 to reform habitual offender laws (Rep. Randal Gaines): Removes nonviolent infractions from the list of offenses that can result in habitual offender sentencing enhancements.